The Ultimate Guide To Student Loans Is Here! Learn how to pay off your loans the easiest, fastest and cheapest way possible! 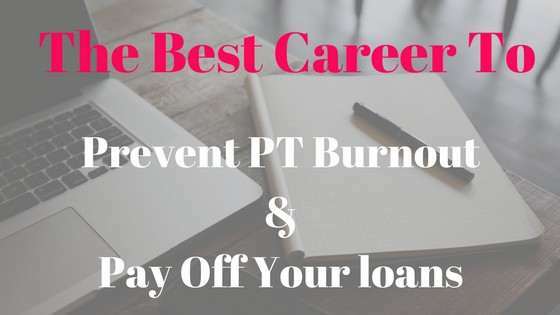 Discover my effective method to pay off your student loans while still enjoying your life and growing an amazing healthcare career! Learn To Pay Off $100,000 In Student Loans In Just 1-2 years With The Debt Free Course! The only student loan course made specifically for healthcare professionals! Do you want to figure out how to pay off your $100,000 of student loan debt in just several years? 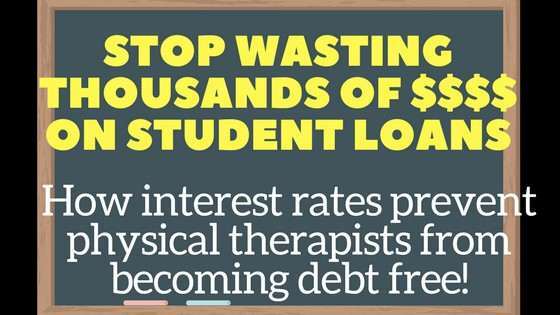 I have created a online course that walks you through exactly what you need to do in order to pay off your PT, OT, SLP or any other healthcare loans! After learning how to pay off my $200,000+ student loans in just 3 years, I’m passionate about showing you my secrets! Learn how to calculate the exact monthly payments you need to meet your debt free goals! Get the exact steps to meet these monthly payments and crush your student loans! Learn how to earn $100,000/yr – even as a new grad! Get the top paying career routes and how to be successful in each setting! Learn how to negotiate for top dollar and ace every interview! Learn how to potentially save tens of thousands on your loans with a few clicks! Learn how to make $100-$500 in just minutes! Learn how to save over $1,000/year on basic costs! And more…. I have partnered with LendKey, one of the nations top student loan refinance companies, to be able to provide you with this course for FREE. I also convinced LendKey to provide you with a $200 bonus to help start your journey to debt freedom! Simply use this link to refinance now with them and email me to receive your free course code. 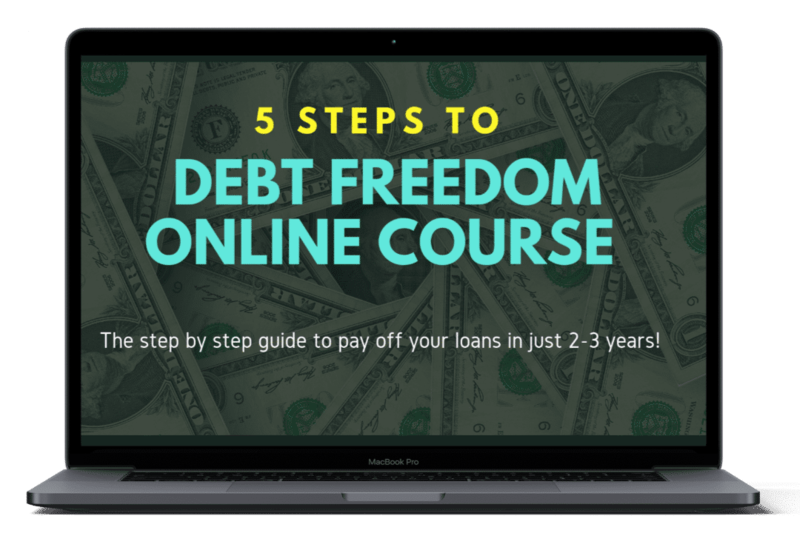 You can also receive a full refund if you take the 5 Steps To Debt Freedom Course and choose to use my link to refinance later with LendKey. Found a better refinance rate? Under the Freebies tab, you’ll find links to all the major student loan refinance companies. Use any of those links to receive $100-$200 bonuses plus my course for FREE! It is 100% possible to crush your student loans in just several years! 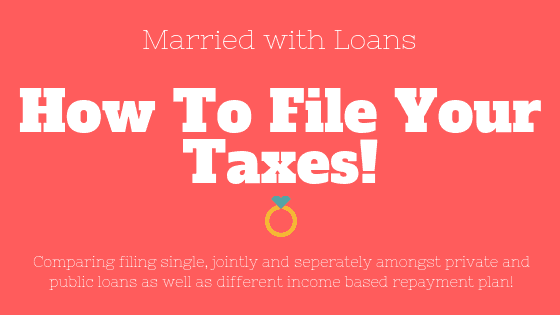 These steps work for any loan amount! I’ve made it easy to simply plug in your exact loan amounts and desired pay off dates to crush YOUR debt, YOUR way! Learn How To Make $100,000 - Even As A New Grad! Learn how to score the top paying careers in therapy and get expert guidance on creating your resume, interviewing, and negotiation! I listen to your needs! As I develop more tactics or tools to help you, more content will be made and automatically synced to your course page! Community support and advice in our private facebook group. Learn how to make additional income while you sleep – and without having to start a buinsess! These are simple steps you can do in minutes to begin earning extra money! Besides video, each section has a checklist and PDFs to help you be accountable and organized on your way to debt freedom! Go through this course at your own pace. This course is yours forever, so you can always comeback to it later! Emma was so helpful to me! I am a new(ish) grad OT and the post grad loan repayment depression hit me SO hard. I remember finally sitting down to look at the big numbers I was dealing with and feeling so overwhelmed. I (thankfully) discovered Emma less than a year into repaying my loans and she provided me with the guidance and all of the tools to help me confidently conquer my loans! The course has been phenomenal so far, it breaks down everything into simple layman’s terms and is almost like an “adulting 101″ quickcourse on how to pay your loans back in the fastest and easist way possible.” Not only this, but there is also deep insight into how to obtain higher paying jobs and some information on which banks/credit cards are the best option for you. “Main ingredients to becoming a Debt Free PT: Informative, Detailed, Availability, and Specific to your needs, mixed altogether= EMMA. Emma is truly incredible. Like seriously, who doesn’t want to be DEBT FREE?! The Solution To Your Student Loan Crisis! Want to learn how to conquer your student loan debt quickly and without sacrificing your lifestyle? Then watch this video! 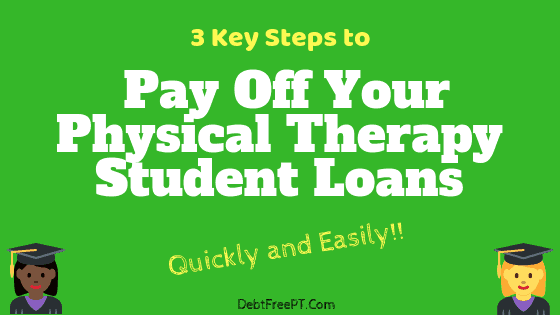 Learn the 3 keys steps you should take today to help you pay off your physical therapy student loans! Learn how interest rates are costing you thousands of dollars extra on your student loans and, as a result, prevent you from becoming debt free. Learn the simple and quick step you can take to improve your interest rate and help pay off your student loans quickly! 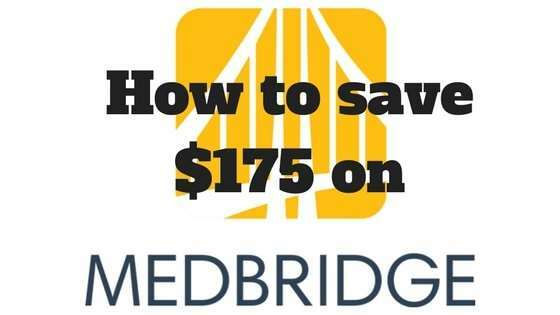 Using code DEBTFREEpt or by clicking this link, you can get unlimited LIVE and online CEU’s by MedBridge, one of the top rated CEU providers. You can use this code every year to continue to get the discount! 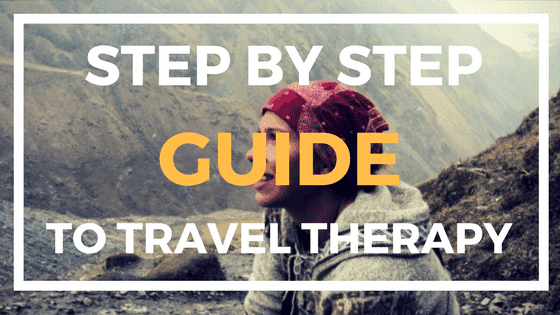 Travel therapy has the flexibility that no other career route has. In addition, it actually will grow your career and pay you what you deserve. Traveling has been the best decision of my life, and I’ll show you why! 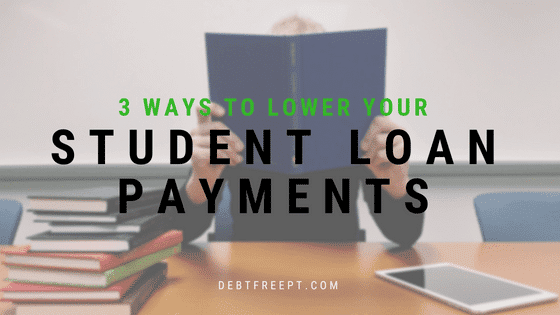 Find out the 3 simple steps you can take now to help save money on your student loans well as lower your payments. 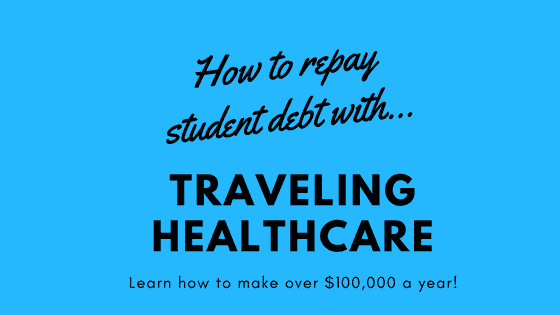 Get a step by step breakdown of exactly what you need to do as traveler to help pay off your student loans quickly! Learn the best income based repayment plan for you and how to file your taxes to save the money possible! 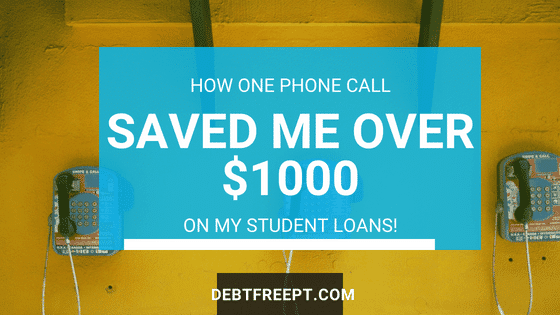 Just one phone call and I had saved over $1000 on my physical therapy student loan payments. I’ll walk you through exactly who to call and what to say so that you can save thousands on your student loans as well. Or Purchase Now For Just $37! Disclaimer: This course makes no guarentee on how much you will earn nor guarantees that you will become debt free. However, it provides all the tools, knowledge and assistance you need and if you follow the course then you should feel confident with the exact route to become debt free based on any loan amount and in any setting.